At Carl Edwards Golf we recognise that when it comes to tuition, golfers like different things. Some golfers will enjoy regular intensive tuition while others enjoy a quick fix once in a while. Whatever your choice we have something for everybody. Coaching philosophy – In my mind no-one is too young / old to take up this great sport and what's more, you don't even have to be a member of the club to get a lesson from myself. I will teach each individual with their own strengths and weaknesses, there is no complicated method to learn, my relaxed temperament and firm teaching beliefs make every student feel at ease and enjoy learning. Teaching the game of Golf has always been a joy for me, I have a wealth of experience of coaching golfers of all abilities, so you’ll be in good hands. In conjunction with Carl Edwards Golf I have recently set up the new indoor 'Cheshire Golf Performance Studio'. Not only does this enable all year round tuition sheltered from the elements, this is a fantastic experience. Indoor Video Swing Analysis, Golf Simulator Experience playing 1 of 15 courses from St Andrews to Sunningdale, the full list of courses are listed below. Also you can hire the romm for practice sessions with the room set up as a driving range giving you fantastic data feedback on all your golf shots. Lastly if you really want to improve your game then why not book the room for a Custiom Firt Session. St Andrews, Royal Troon, Birkdale, Carnoustie, Kingsbairns, Celtic Manor, Sunnigdale, Brabazon at the Belfry, PGA National at the Belfry, Congressional, Hazeltine National, Firestone, Cog Hill, Schaumburg & Oakmont. There are a wide variety of lessons packages available, whether you’re looking for a quick fix or intensive coaching and a playing lesson. Short game lessons (putting, chipping, pitching and bunker play) all of which can be analysed by video if required. Individual lessons and/or group lessons. All prices for the cheshire Golf Performance Studio can be seen on the attachment at the bottom of the page. 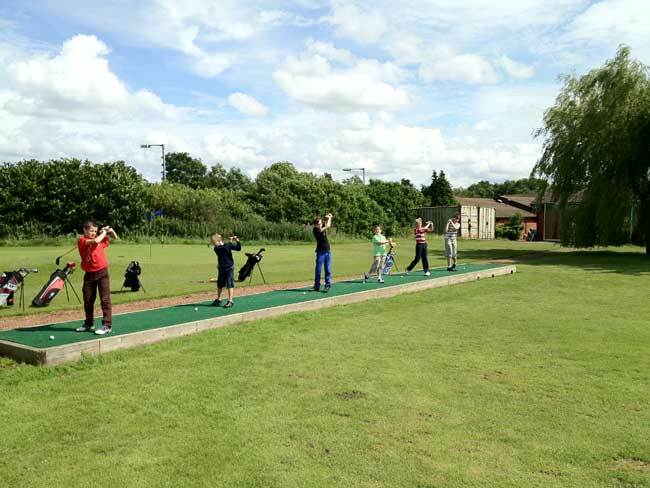 The Junior programme at Birchwood Golf Club is aimed at fun filled instruction to aid future development. 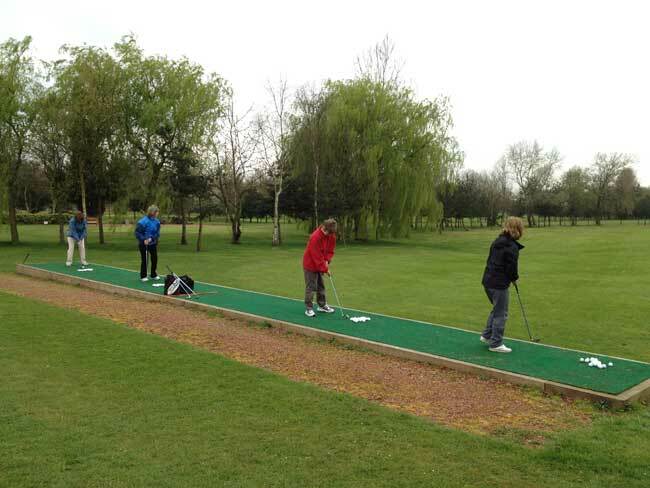 Junior clinics for non members are available and are organised throughout the year. 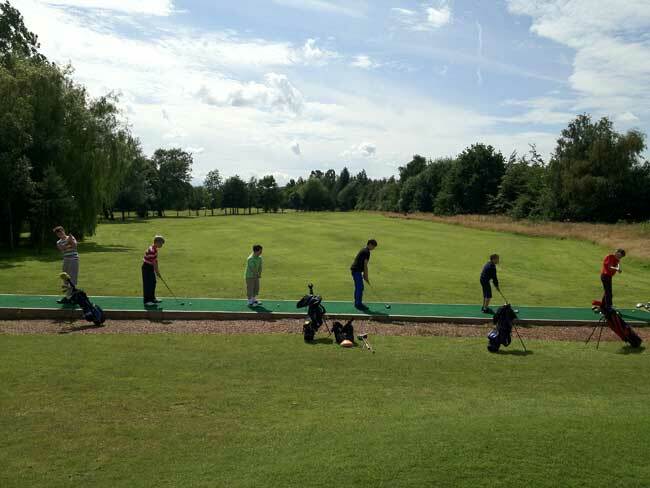 We follow the Golf Foundation Junior Passport Scheme with the emphasis on fun and developing Long Term Athletic Development in addition to golf skills. 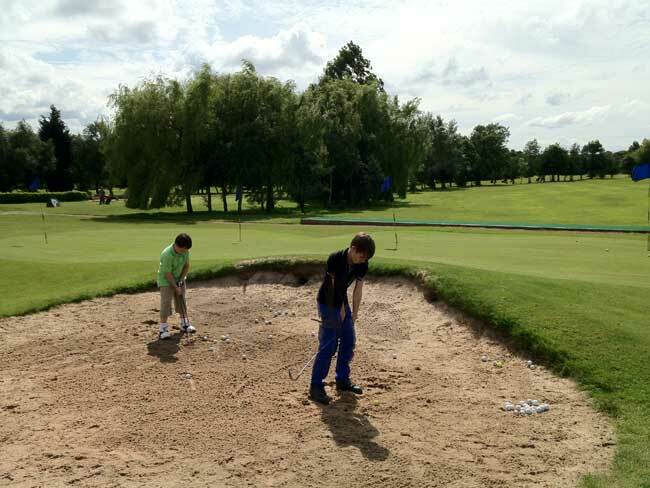 Please see our Golf Academy Image Gallery below. For further info on upcoming sessions, please view the courses below and contact us on 01925 825216 or email me on carledwardsgolf@hotmail.co.uk. As with all packages tailored towards improvement – lessons are best taken as close together as possible for maximum benefit. John Lynskey Past Captain Birchwood Golf Club.